*At B2K, our ambitions are only to bring success to your wire business. *And, that comes straight from the warmness of our heart. 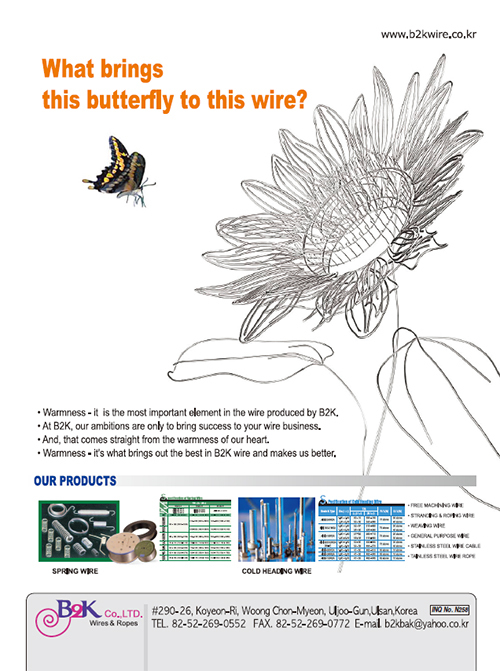 *Warmness - it's what brings out the best in B2K wire and makes us better.